Wow, time flew today, as I was at a special 4 yr old’s birthday party 🙂 But I’m still in time to make my DT inspiration post for the current challenge at the Ching-Chou Kuik Facebook group. Our theme for the month of July is Summertime/Seaside, so for this card, I went with the summertime theme. 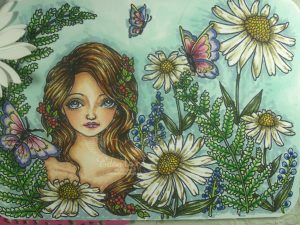 I used the image “Summer Garden“, available at the CCK Etsy shop. Lovely coloring and fantastic elements on your card, the die cut flowers mirroring the colored ones in the colored panel. What a beauty. So glad you joined us at Morgan’s ArtWorld and love to see you join in each month. Oh this is just gorgeous. Lovely image and colours and beautiful design too. Nice work. Thank you for sharing with us here today at World Wide Open Design Team Challenge and best of luck with your entry. Very pretty easel card. Thank you for sharing with us over here at “A Perfect Time To Craft” and best of luck with your entry. 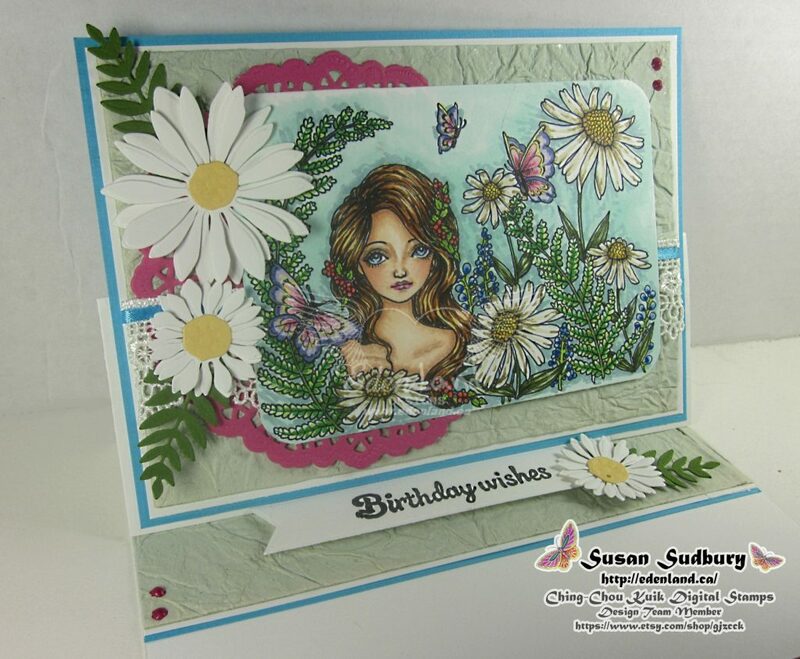 A delightful image and beautifully coloured, many thanks for sharing with us and joining in with our ‘In my Garden’ theme at Stamping Sensations challenge. Such a gorgeous image, and so beautifully coloured! Perfect for our garden theme at Stamping Sensations. Thanks for sharing it with us.